Last weekend I tried video recording my entry for the virtual choir. Let me tell you, following a virtual conductor is tricky business! On my first run-through I was either a few beats slow or ahead and it was extremely challenging to line up with his conducting video! I'm so used to watching a conductor's lips but he doesn't mouth any of the words so I can't use visual word cues as a checkpoint. He also pulled out some conducting codes I wasn't expecting, thankfully, I watched his instructional video and was able to deduce what he wanted when he used it. He puts his hand in front of his mouth and rubs his fingertips together, it kind of reminds me of what I imagine my friend's Indian grandma does when she asks you if you want something to eat, but in this case, he actually just wants you to bring out the diction. He is also very generous with timing in his artistic conducting style. He employs a lot of wispy arm movements and it's hard to locate the downbeat sometimes. However, it was easier after a few runs but then I was running into computer glitches that prevented me from recording a solid take. I'm hoping to have another run at it this coming weekend when I have a long weekend break from school. I had my first rehearsal for the Male and Female voice concert happening on November 21 two weeks ago. They had trouble getting music in on time so the first time I read the scores was at the first rehearsal. Oh, sight-reading... It was actually fine since the music was pretty straightforward. I think by far one of my favorite parts of going to Pro Coro rehearsals is listening to Jeremy Spurgeon play piano. As I have said before, Jeremy is pretty much the organ deity of Edmonton. Though he was playing piano and not organ for our rehearsals, it was a treat to watch his sight reading genius unfold at the keyboard. 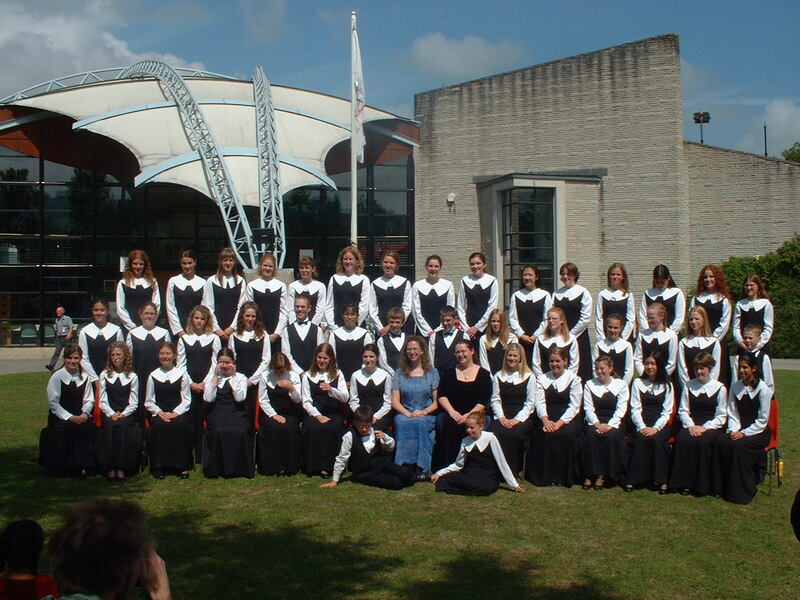 Back in July 2002 I competed in the International Choral Eisteddfod in Wales, UK. 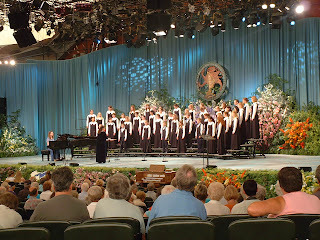 I received an e-mail from my conductor, Heather, where she detailed the hopes of assembling an Alumni Choir to join with her current Chamber Choir to compete in classes again the Eisteddfod. She invited those 25 years of age and younger to tour with her for the summer. 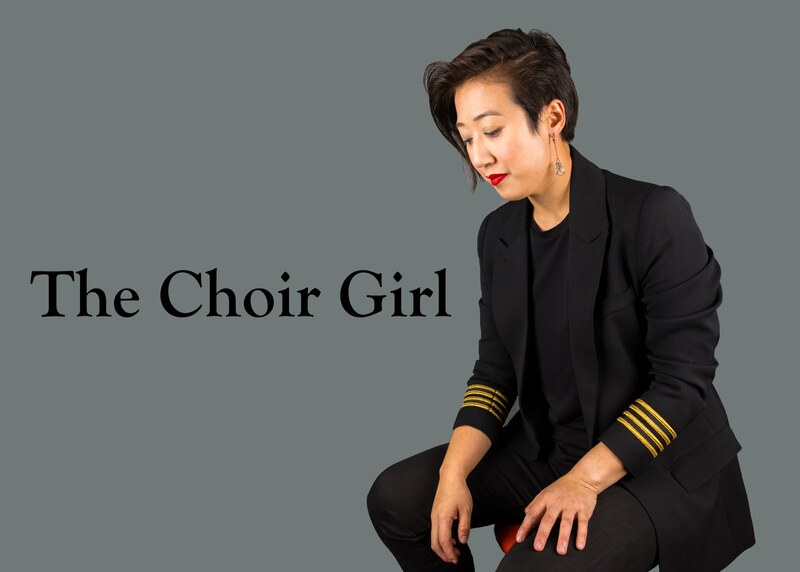 She wants to compete in six classes at the festival: Senior Children's Choir (18 and under), Youth Choir (16-25), Female Choirs, Folk Choirs, Chamber Choirs, and Songs from Shows-Musical Theatre (16 and over). 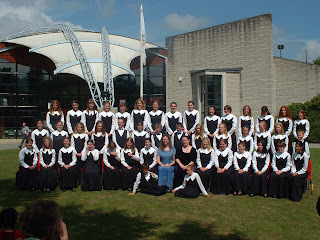 Three of those classes do not have any age restrictions: Female Choirs, Folk Choirs, and Chamber Choirs. I knew I scheduled in a summer for myself for a reason! Most of my classmates are doing placements throughout the summer but I decided to extend the length of my placements into 2012 (most of my classmates finish in December 2011) so I booked off June-August to finish up my thesis and take a break. My conductor said that we would be rehearsing in the last few weeks of June and then go on tour in early July to attend the festival. In a way, I feel like it would be making up for the fact that I was not able to go on tour to Italy with Belle Canto. Plus, this Alumni Tour would also be a chance for me to reunite with my A Capella group "Con Fuoco" which is comprised of my choral soulmates. Of course, the fine details that will make this tour a reality such as funding, grants, etc. have yet to be finalized. 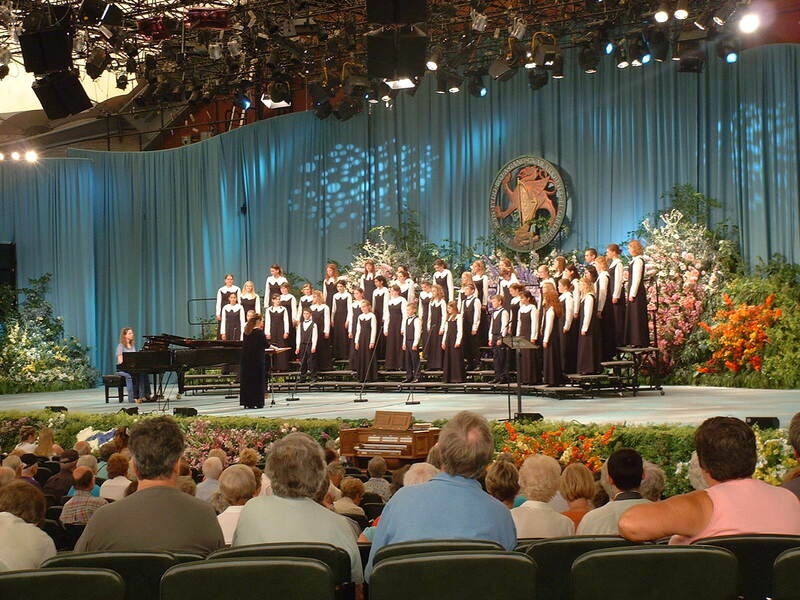 However, this Alumni tour is a most appealing prospect! It was such a memorable tour in 2002. 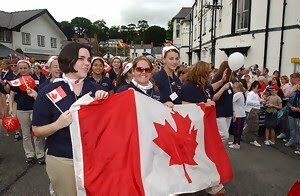 Some memories which are coming to mind are those of the delicious Welsh tea biscuits, walking in an opening ceremony parade throughout the town, taping up paper to cover up the windows on the door in the very public common room we were all sleeping in, watching male volunteers and choristers continuously pursue a modelesque girl in our choir, having to take showers at the pool since there weren't enough bathrooms at the campus-like facilities we stayed in. Though it seems like the negative things are coming to mind in my memory retrieval process, those are the best memories since I just laugh at them looking back on it now.